Shakespeare’s dream was to be a Chartered Accountant. After going to school in Malvern, Johannesburg, and matriculating in 1996, his plan was to study financial management. Unfortunately, due to a lack of finances, Shakespeare wasn’t able to study further. Instead, he did piece jobs before eventually working with CWP, where he helped communities build roads, clean churches and install electricity. While working on one of these projects, Shakespeare heard about SmartStart, through the Cotlands organisation. When he learnt that SmartStart provides education programmes to young children, he knew he wanted to get involved. As someone who is passionate about education – and yet has not always been able to afford it for himself – he was excited to play his role in providing high quality and affordable early learning to children who don’t currently have access to this. Shakespeare attended the SmartStart training in October 2015. Today, nearly one year later, he runs his very own playgroup of 7 children. The playgroup meets every Monday and Wednesday, and Shakespeare is dedicated to its success. He also supports another playgroup facilitator on Tuesday and Thursday. Every day, four times a week, he walks 40 minutes to his centre – a small space donated to him by a community member. The only thing he has to pay for is electricity. “At first, I wasn’t sure if I could teach. But I’ve learnt so much. What’s most important to me is that children are no longer roaming the streets. They are coming to the playgroup – and the parents tell us that they are always asking to come. I’m very proud to be doing this,” he says. Shakespeare’s vision is to help his playgroup children all successfully enter Grade R, and be ready to go through the school system and interact with other children. As a father to a young six-year-old boy, Shakespeare knows how important this is. At 42 years old, Shakespeare is a wonderful example of how the SmartStart franchised programme is changing lives. While bringing more quality education to young children in South Africa – helping them prepare for school and overall success in life – it is also helping adults, such as Shakespeare, to run and manage small businesses of their own. 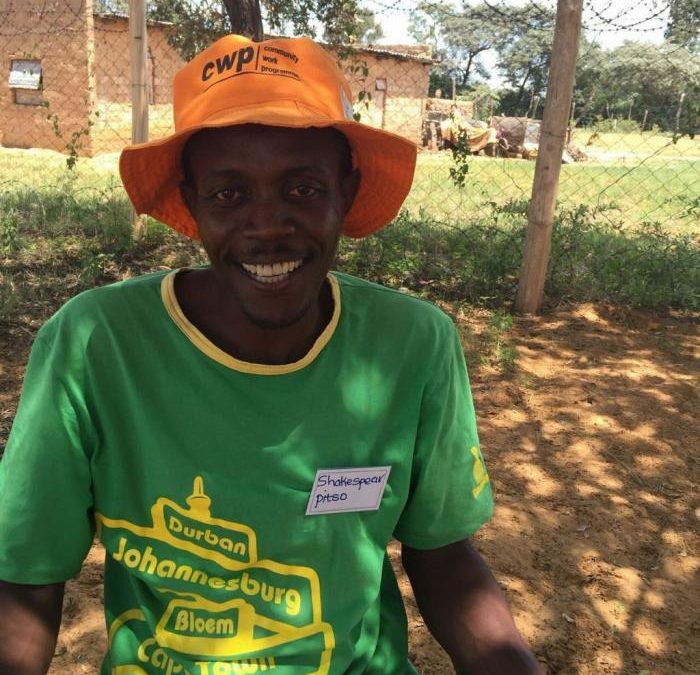 Shakespeare is still passionate about furthering his studies – he wants to study financial management and storekeeping, so that he can achieve his dream of being an accountant. Running his own SmartStart playgroup is helping him (and these children) to have a greater chance of reaching his full potential.